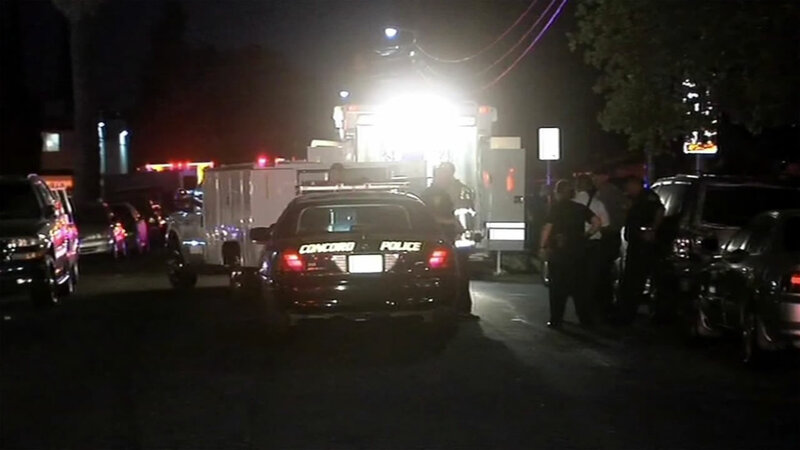 CONCORD, Calif. (KGO) -- Some Concord residents are back in their homes Sunday morning after they were evacuated due to a bomb scare. People who live in the apartments on Robin Lane between Virginia and Meadow Lanes were told to leave their homes at 6 p.m. Saturday. A woman called 911 to say her husband was making a flash bomb. "The wife or the complaining called our dispatch center, reporting that her husband was intoxicated and that he was inside of the kitchen mixing chemicals," Concord Police Cpl. Christopher Blakely said. Police noticed a strong smell of chlorine inside the apartment. Officers evacuated the woman and her two children, along with neighbors along the entire block. The bomb squad did not find any explosives. The 37-year-old man is in jail on charges of child endangerment.